I was born & raised in a small town in the southeast corner of Wisconsin named Elkhorn – it was coined the “Christmas Card Town” in the 1950s due to its scenic beauty in the winter. 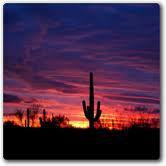 However, that cold climate and I did not agree, so I relocated to the Phoenix area 20+ years ago. Throughout my education, I maintained an emphasis on business as I have always wanted to have a business of my own. I graduated from Gateway Technical College with Director’s Honors for achieving a 4.0 GPA in both my Accounting & Computer Science degrees. I worked in the computer industry for 18 years performing Systems Analysis & Design, along with computerized Accounting functions – a good portion of those years at the statistical powerhouse Runzheimer International. My current hobbies include spending time with my family, gardening, sewing, golfing and cooking. I am a licensed Realtor in the State of Arizona. I specialize in representing my clients in the purchase and sale of single-family residences, income properties and land in Maricopa and Pinal Counties – I also perform some light commercial. I take pride in my knowledge of the Valley of the Sun’s communities to assist you in finding the perfect area for you and yours. I am a customer driven Realtor dedicated to achieving results and providing exceptional service. If you are in the market to buy or sell a home, I will put my many years of real estate expertise to work for you! There are aspects of real estate process that seem pretty simple. However, there are many elements of a smooth transaction that are complicated and daunting. I firmly believe that in order to purchase or sell property, one will need to be educated about the market and the process. I will provide you with the information and tools to assist you in making your real estate decisions perform as seamlessly as possible. Please don't hesitate to ask questions – I firmly believe that the only stupid question is the one not asked! If I do not know the answer, I will get it for you! I will assist you with every aspect of buying or selling your property because I’m experienced, because I’m professional . . .but most importantly, because I care! That's why My Priorities Are Simple...They're Yours!